I-GOs Posted on Mon, 07/24/2017 - 10:45. 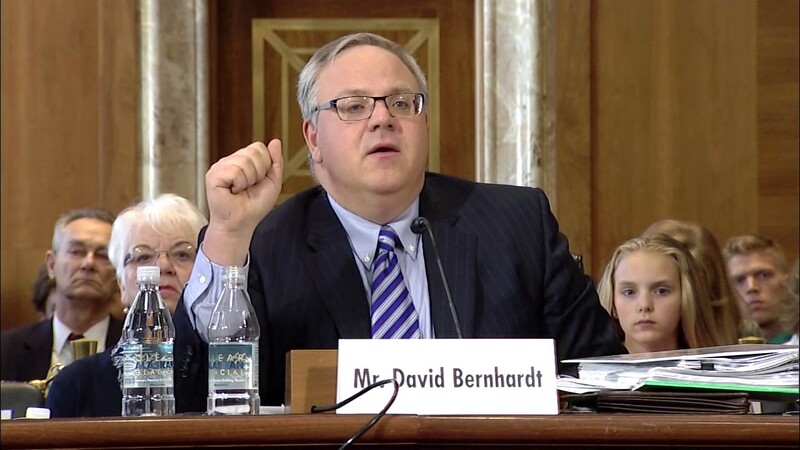 The U.S. Senate voted 53-43 on July 24 to confirm David Bernhardt as Deputy Secretary of the U.S. Department of the Interior. The Deputy Secretary serves as the Department’s Chief Operating Officer. Bernhardt has previously held several senior positions at Interior, including Solicitor, the Department’s third-ranking position, following unanimous Senate confirmation in 2006. He is only the second Trump Interior nominee to be confirmed. Several more have been announced and are undergoing Senate hearings, but more than a dozen key posts at Interior have no announced candidates.